...that's what I feel about this annual ritual of updating myself and you folks on the progress of the most important or much hyped up infrastructural/ industrial investments in Kerala. 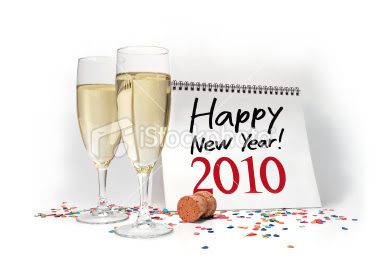 We did it for a start in 2007, (A Happening Year, Dec '07) and got a carbon copy of it in the '08 sum-up. (Turning the void page, Dec '08). To be honest things don't appear any rosy in comparison to 2008, well that's what I feel when I look up at status of our development projects, or rather should I say 'paper tigers'? Let's take a different route this time and see if we could spot some light out of all this soot-black sky. Optimism, for a change...Well, I hope the light, if any, is not from a comet crashing down on us. Now, the 'big' picture...Excuse the oxymoron. 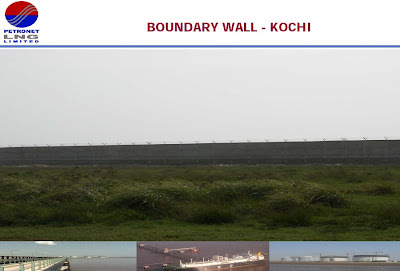 LNG Terminal: Potentially a torchbearer for a second industrial revolution of Kerala, (though the first was a meekly affair) the terminal is well u/c.The 2000 Crore project rising up on 100 acres of land in Puthuvypeen is expected to be a shot in the arm for many industrial units in the Aluva belt as well as for new manufacturing industries. Kerala Expressway: Still appears only on PWD maps, 8 years into fertilization. Labour signs still a bit far than Andromeda Galaxy. But then there is a streak of light on this front: Govt of India has actually proposed an Expressway from South Tamil Nadu via Punalur-Trichur through the less densely populated regions of the state. The bad news is that the land acquisition will be the responsibility of our Kerala rulers. Is this the start of another everlasting pregnancy tale? Smart City: I observed some movement in the premises at last...The official Opposition Party (have we ever got one?) conducted some drama at the site the other day in the name of 'protest against neglect'. Some people say that there is an ambiguity of role when it comes to the ruling and opposition parties in the Smart City affair. I wonder... Into the 3rd year of laying the foundation stone, the Dubai Sheikhs and the Kerala CM are playing Hide n Seek, making fool of the 3.5 crore Keralaites. The talk is that TECOM is very much like our own KSRTC, having to beg and borrow for even their daily chores as evident by the state of affairs in Malta, the 'other' over-smart city. The grass has grown tall n brown to cover the foundation stone, at least the cattle in the area ought to be allowed to roam the premises. Vizhinjam Container Transhipment Terminal: After raising hopes to sky high level Lanco deserted the project, crashing down to crush the hearts of millions of Keralaites, especially South Keralaites who were gearing up to cash in on the port. The biggest disappointment of the year, if you ask me, but still GoK has been proactive in lifting the spirits up again. Works on road-rail connectivity, water and power facilities and associated infrastructure development are being vigorously planned. From a stock election manifesto, the name 'Vizhinjam' managed to cross oceans and generate investor interest and confidence from the likes of Singapore, Rotterdam et al. But we still have to wait a few more years to see the breakwater courtesy politics, regionalism and chauvinism. Cyberpark, Calicut: Announced 2 years back. Land acquisition in progress. First envisaged as a 300 acre project, it is now a meekly 70-odd acre affair.And the Govt tells us that this will be a ' hub' as envisaged by the think-tanks of the IT Dept. May be the future plans are big, but doesn't Calicut deserve something better than this when we are speaking about a pivot to develop IT in the whole of Malabar? Trivandrum Airport Developments: What did I say? The swanky new terminal which was supposed to open this month is still u/c. Now the authorities say that 2010 March is the holy date, third time the opening date is being deferred courtesy lorry strikes, militant trade unionism, red tapes and what not?. The 6 lane approach flyover is also stuck up behind the deadline. Anyway I expect to walk out of T3 this summer, anything else would be a huge disappointment. Cochin Metro: Status quo. Files flying between Trivandrum and New Delhi, that's all. No decision taken upto date on how the project will be implemented and when. There has been no dearth of statements from the ministers that the project will begin tomorrow, next week, this moment and so on. Cochin-ites are damned to travel on the roads manifold times their capacity.And worst, the planners are too fixated on the glitz and glamour of Metro that other feasible and feeder projects like a BRTS are not even considered seriously. Railway development: The general rail development is satisfactory compared to previous years. A handful of new trains, upgradation of major stations to International standards, surveys for new lines, all going on with a pro-active minister at the helm. Nevertheless, travel woes of Malabar still continues. The appalling connectivity of Malabar to IT hubs of Bangalore in particular, and also to Chennai and Hyderabad hasn't been addressed as it should have been. Incredibly everyone seems to have forgotten about the MEMU which was announced a few years back. Kannur Airport: eh? Isn't this another project exclusively for the real estate merchants? Some associated road developments are planned which may work in favour of the North Malabar city. This could well be an example of one becoming manure to another. This Airport, if ever materialize, will surely eat into the revenue and figures of Calicut International airport which has shown very impressive growth chart after opening its apron for Int'l flights. So we may well end up with two kids with growth retardation in one house. Bingo, what do you see? Red or Green? The results are all for you to see but as they say, its history. The new decade can only be better, what you think? There is the silver-lining when we look back at the noughties though! The words 'investment' and 'business' have started to appear less evil in Kerala. Also the state did make it into many 'preferred investment destinations' list, that's one major positive outcome I see from the past decade. On a possibly related note, still no shore in sight for Mr. K. Muraleedharan as the decade comes to an end, dad Karunakaranji managed to send Yamaraj and his water buffalo packing yet again, Abdul Nasser Madani and his marriage with the Reds have reached where it was headed: dead-end and Mr. Rajmohan Unnithan learned that this is a round round world, and what goes around comes around.